Get ready to fall in love all over again and this time with the "Noah" Brass Hook and what’s new you, can bring it home as well. The two edged block shaped hooks with linear leafy design that runs in the middle makes this model even more elegant. 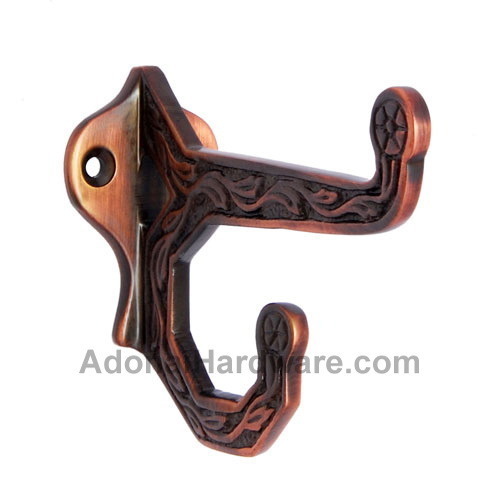 Specially made to save time during the time of rush and take the heavy load, this brass hook is an well accomplished piece and makes your pockets smile for it is affordable as well. The availability of the wide variety of finishes will let you decorate this piece the way you like it giving wings to your creativity. So grab your piece before the stocks last.